Mad Creek Books, 9780814254851, 288pp. 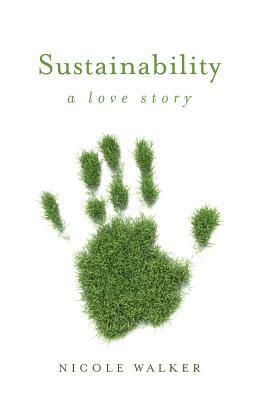 In Sustainability: A Love Story, Nicole Walker questions what it means to live sustainably while still being able to have Internet and eat bacon. After all, who wants to listen to a short, blond woman who is mostly a hypocrite anyway—who eats cows, drives a gasoline-powered car, who owns no solar panels—tsk-tsking them? Armed with research and a bright irony that playfully addresses the devastation of the world around us, Walker delves deep into scarcity and abundance, reflecting on matters that range from her uneasy relationship with bats to the fragility of human life, from adolescent lies to what recycling can reveal about our not so moderate drinking habits. With laugh-out-loud sad-funny moments, and a stark humor, Walker appeals to our innate sense of personal commitment to sustaining our world, and our commitment to sustaining our marriages, our families, our lives, ourselves. This book is for the burnt-out environmentalist, the lazy environmentalist, the would-be environmentalist. It’s for those who believe the planet is dying. For those who believe they are dying. And for those who question what it means to live and love sustainably, and maybe even with hope. Nicole Walker is Professor at Northern Arizona University, the author of Egg, Where the Tiny Things Are, and Quench Your Thirst with Salt, and co-editor of Bending Genre: Essays on Creative Nonfiction.